This is a PRE-ORDER, the key will be delivered upon the game's release date: 30 May, 2019! Bonuses, if included, may differ from offers on other stores! From the Star Wars: Empire at War and Command & Conquer veterans at Petroglyph comes the first-ever strategy game set in the barbaric world of Conan the Barbarian. 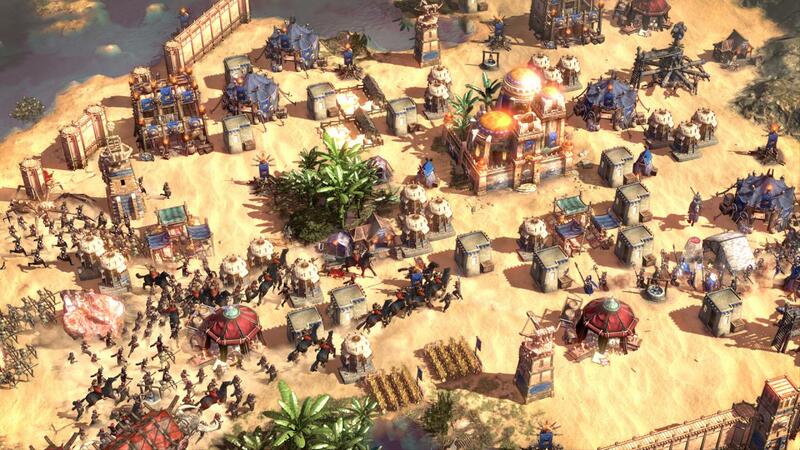 Conan Unconquered is a survival RTS set in the barbaric world of Conan the Barbarian where you must build your stronghold and assemble an unconquerable army to survive the savage hordes of Hyboria. Wave after wave of increasingly more difficult enemies will rush at your gates and you will need to manage resources, research new technologies to advance your defenses, and recruit an ever-growing army if you are to save survive utter destruction. 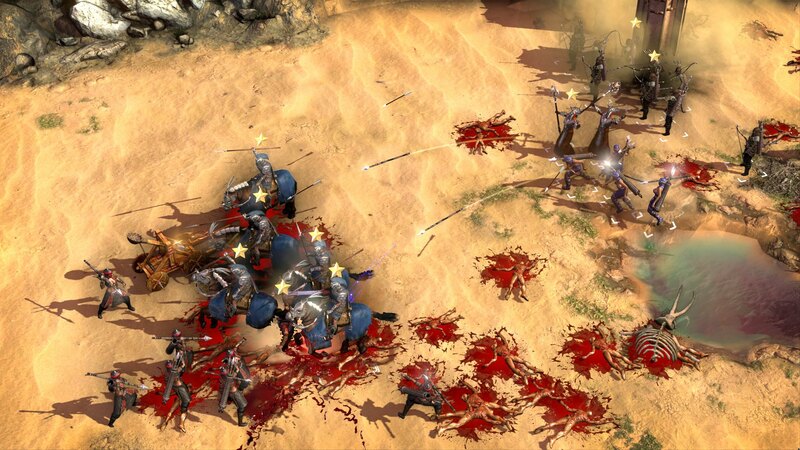 You can choose to play the game entirely alone in single-player, but Conan Unconquered can also be enjoyed in full two-player co-op allowing for a truly unique, shared multiplayer experience. 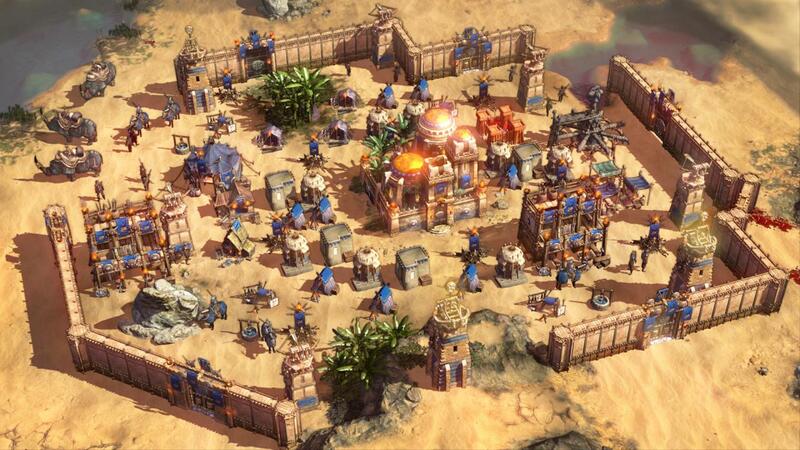 Players share a base where both can freely construct new buildings and amass an army to reach their common goal. 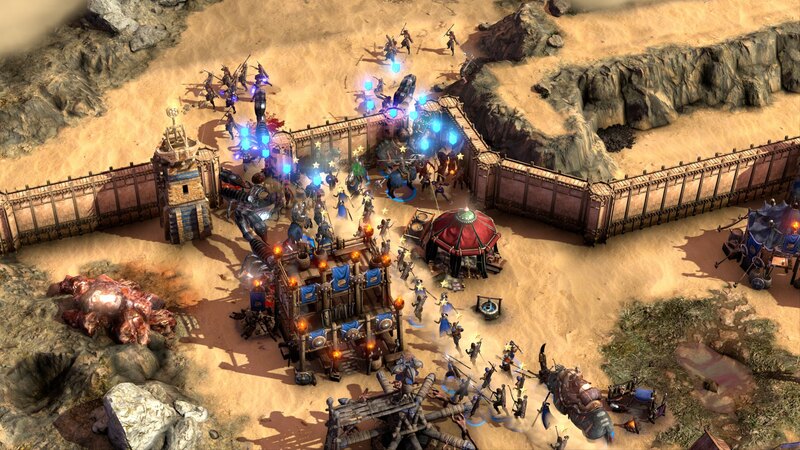 The enemy hordes will keep coming at you and how long you can resist the invasion depends entirely on your ability to build your stronghold and lead your army. Gameplay is real-time, but you can also pause at any time to issue commands and start construction of new buildings. Battles will be bloody and savage with players having to deal with anything from fires raging through their stronghold to piles of corpses spreading death and disease. The savage horde is at your gates. Will you fall or will you remain unconquered? Battle wave after wave of increasingly more difficult enemies coming to destroy your stronghold, from lowly footmen to experienced elites and mighty siege weapons. Giant snakes and scorpions, spearmen, necromancers, and flying demons will arrive in vast numbers to see your home burn to the ground. Manage resources such as food, gold, wood, and iron to fuel your expanding stronghold. Construct a variety of different buildings from housing to temples and military barracks. Build defensive walls around your stronghold and equip them with traps such as oil cauldrons to keep attackers at bay. 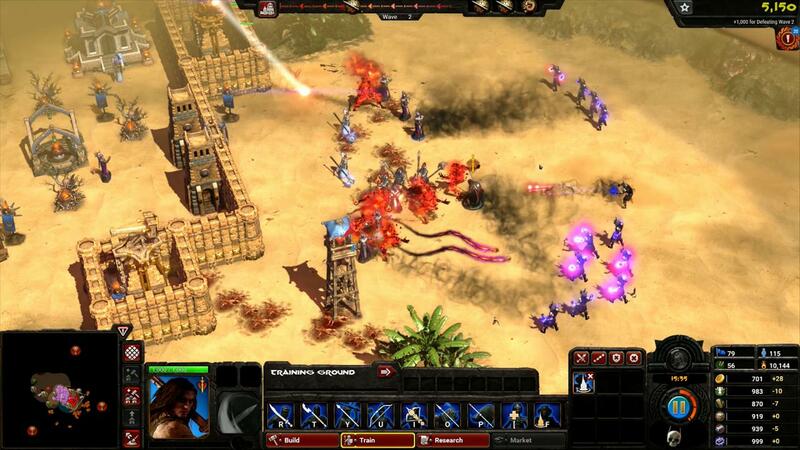 Play together online and build a shared stronghold while fending off the enemy hordes. 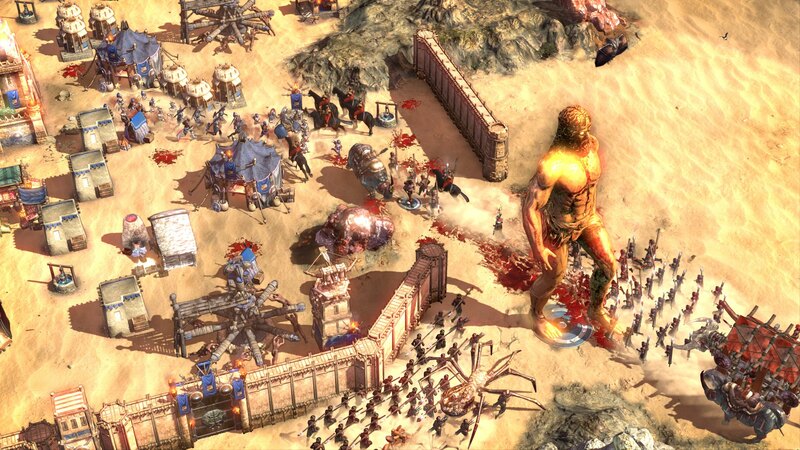 Both players can build structures freely, and research upgrades, walls, and structures are all shared allowing for a truly unique and cooperative multiplayer experience. Heroes are incredibly powerful units that can greatly influence the outcome of battles. These heroes, including Conan himself, possess special abilities and you can equip them with unique artifacts that you find as you explore the world. You may start out with only a few foot soldiers, but before long you will have amassed an epic army of heavy cavalry, sorcerers, and more, ready at your command. Train units and keep them fed and paid to see their power grow and become truly unconquerable. The world of Conan the Barbarian is one of blood, battle, and savagery. As your soldiers and those of your enemy die on the battlefield, their bodies will be left to rot and spread disease that can quickly turn the tide of war. Of course, a necromancer might be able to turn that to their advantage. Randomly generated maps allow for infinite re-playability and each map holds vast opportunities for players that dare to explore beyond their stronghold. Discover ruins hiding great treasures, but beware: these are often protected by massive guardians that you need to bring down to claim your loot. Build a temple and dedicate your stronghold to Mitra. Summon their massive avatar that towers above the battlefield and crushes your enemies in its footsteps.